Since Tuesday, May 7, mortgage rates have been listing in a sea without wind, realizing a lack of movement in any direction. The last big movement influence still continues to be the prior week’s job report, which helped the rate averages move upward. Since then, as expected, there has been no further substantial movement, and none was expected since no additional reports or actions by the federal government was expected for the remainder of the week. In fact, rates for May 10 were pretty much identical in their ending position as that of the previous day. No surprise then, the best contracts for mortgages have been regularly locking in with a 3.5 percent interest rate on borrowed funds. Bond markets continue to weaken in the face of a bolstered stock market, also dampening any rise potential. Borrowers can probably look for the situation to hold right through the weekend and to next Monday, providing significant savings versus any potential rise in the next few weeks. The movement that did occur during intra-day changes swirled on petty rumors. There was some chatter that the Wall Street Journal was going to lobby an opinion piece critical of the Federal Reserve’s latest policies on the economy, but it was not substantiated. However, just the fact that the rumor existed was enough to cause activity among traders in the late morning. That said, the indicators that really matter to consumers were unchanged throughout the entire day’s window, with the seesaw action ending with a net zero change for the day. As a result, many lenders are recommending borrowers lock in the 3.5 percent or similar available since it’s a very respectable rate for borrowing on a home. As noted above, the 30-year fixed rate average settled at 3.5 percent, and the 15-year counterpart was unmoved at 2.75 percent to 2.875 percent. 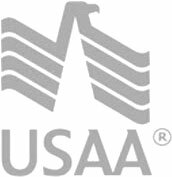 Those who can enjoy an FHA or Veteran’s Administration loan still beat the market with access to a 3.25 percent average. And the 5-year adjustable rate mortgage average stayed the same at 2.625 to 3.25 percent.